Sítio Grota São Pedro was acquired by Joaquim Pereira de Souza in 1988. At the time, the farm consisted of pastures for dairy cattle. Coffee was introduced in 1989 and plating was finished in 1994, totaling 145,000 trees planted in an area of 25.3 hectares.In 1996, four hectares of tanks for fish farming were build and in 1998, fruit orchards were planted, with figs, peaches, Portuguese chestnuts, acerola and jabuticaba, among others. In 1999, guava trees were added and finally, in 2003, lychee and bananas were planted. The property belonged to brothers Gláucio, Hélcio, Paulo, Dimas and Cláudio, but it was run by Cláudio in a conventional manner until 2000. In 2001, after a friendly decision, ownership was passed to him. Seeking both financial and environmental sustainability, Cláudio opted for organic agriculture, together with the idea of producing specialty coffee. In 2002, he participated in the Cup of Excellence for the first time, placing 4th. Since then, he has continued to place among the finalists, in 2005 placing 34th and in 2006, 15th. He participated in the inaugural ABIC competition in 2004 and finished third, then again in 2005, coming in second place. He also participated in the Minas Gerais state competition, placing 2nd in 2005. 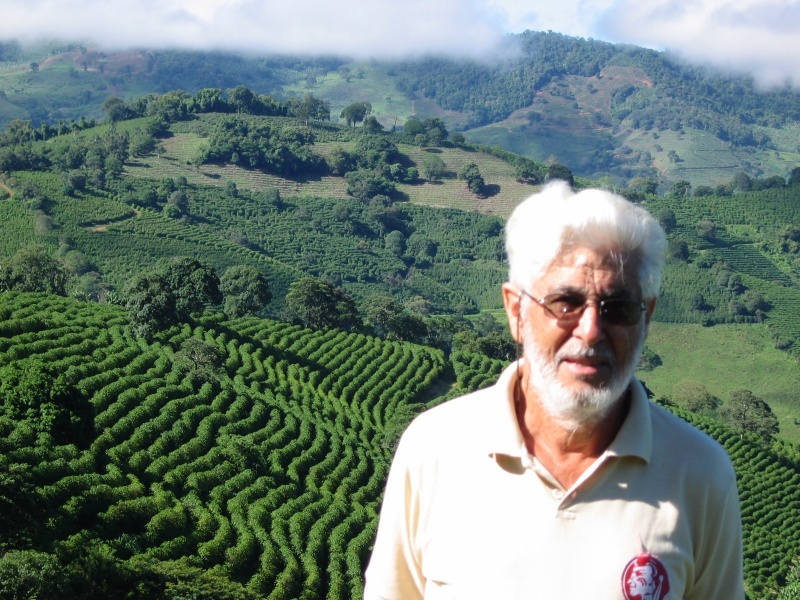 Finally, in 2010 he won the Cup of Excellence® – Brazil in the pulped natural category with a score of 93.91. The coffee is pulped in the wet method and dried on a cement patio without the use of a mechanical dryer. 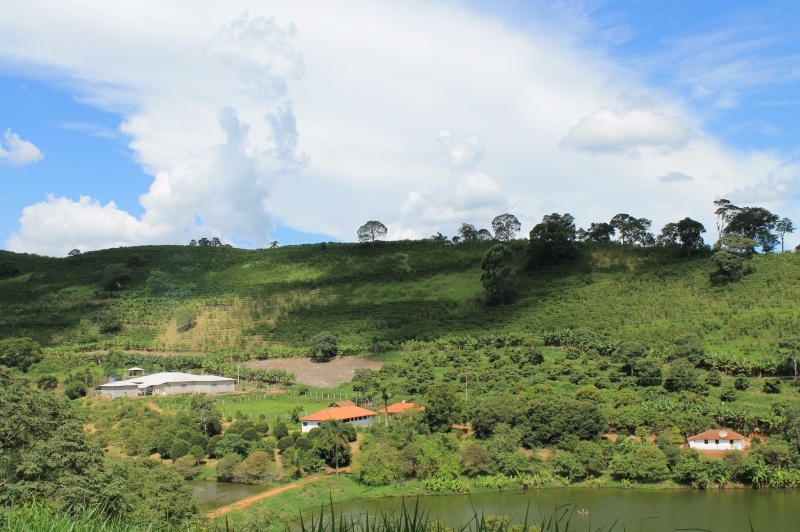 After the selective harvest, in which cherries are picked as ripe as possible, the coffee is processed at Fazenda Paixão. It is received from the fields in a cart, unloaded on a platform and proceeds down a decline to the washer, with the help of running water. The washer yields the following products: pulped natural n°1 (CD1), pulped natural n°2 (CD2), green cherry and dried cherry (that which dried on the tree). CD1, the ripest, is the easiest to pulp and also the highest quality. The process continues with separation and drying. The next step is to monitor the humidity (down to a maximum of 11%) and submit the sample for cupping (lot by lot), grouping the highest scoring lots and thus forming the lots for the competition. This entire process guarantees the quality of the product. The concern for quality begins with balanced fertilization. As it is organic, the compost is made with coffee straw, chopped grass and animal manure (cattle or chicken). To complement this, leaf fertilization is periodically done to make up for boron and zinc deficiencies. And finally, two or three applications of biofertilizers are done to help with soil fertilization. 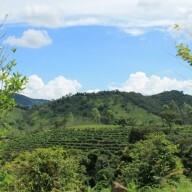 The property has been certified Organic by IBD, MG-096 project, since 2000. The agency does annual inspections to guarantee and evaluation quality production.